Istanbul Airport protests: a symbol of discontent for Turkey's labour force? Behind the fanfare over Istanbul’s brand-new airport have been growing concerns about labour rights, as protests over dangerous working conditions came to a head at the end of 2018. What are the workers’ grievances, and what do these protests mean for a country whose labourers are often scared to speak up? The protests in September were not the first time that Turkey has received bad press on labour conditions. Images: Shutterstock. 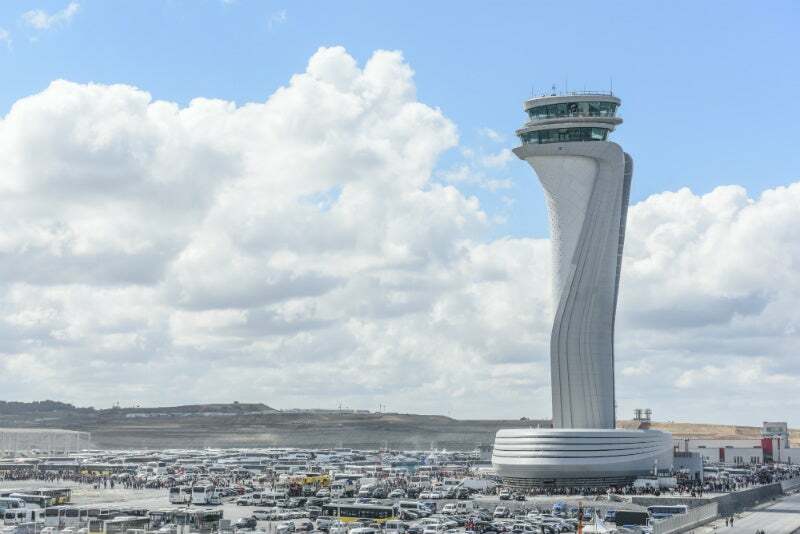 However, behind Istanbul Airport’s award-winning design elements and grand open interiors lurks a much darker reality; since its inception, the project has been marred by reports of unsanitary and unsafe conditions inflicted across segments of its 36,000-strong workforce. Grievances reached a head in September last year, when more than 400 people were detained after a major protest in Istanbul, where Turkish police reportedly used tear gas to disperse crowds. 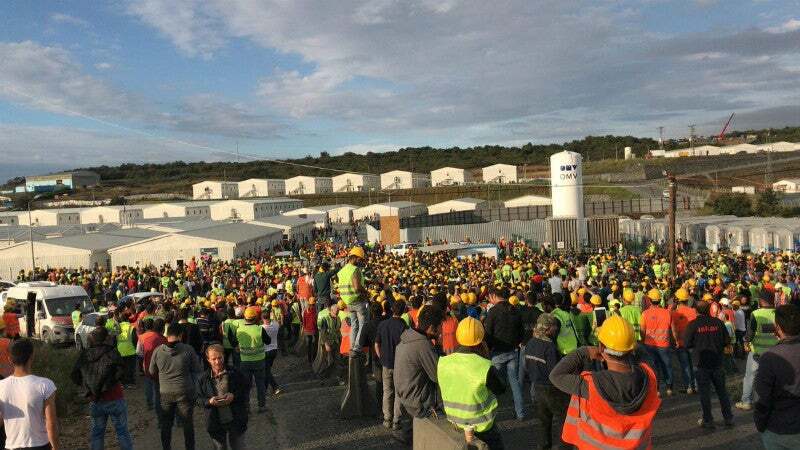 The Confederation of Progressive Trade Unions of Turkey (DİSK) claimed that hundreds of employees were dismissed in the wake of the event, while 61 workers are currently still on trial for a number of crimes, ranging from property damage to ‘disrupting freedom to work’. The September protests were triggered when workers were forced to wait in the pouring rain for heavily delayed transit buses travelling between their accommodation and the construction site. However, this isn’t the first time that workers have spoken up about conditions at the airport. Emma Sinclair-Webb, senior Turkey researcher with the Europe and Central Asia division of Human Rights Watch (HRW), said grievances ranged from substandard accommodation to wages being docked arbitrarily or left unpaid for months by subcontracting firms. Workers reported bed-bug infestations and inedible food, with some posting pictures of cracked ceilings in their dormitories on social media. Anonymous reports from the media immediately following the September protest spoke of two-storey bunk beds being squeezed into tiny rooms at the workers’ barracks. Sinclair-Webb says that in Turkey it is common practice that workers’ social security contributions get paid to them as though they were on minimum wage, even if they were being paid above this amount. Employers are also known to give workers extra cash in hand and not pay any contributions on top of this at all. The project was also dogged by allegations about dangerous conditions. Last year, unions reported to Human Rights Watch that at least 38 workers had died in work-related accidents, before the Presidency admitted in December that it believed there had been around 52 deaths onsite. 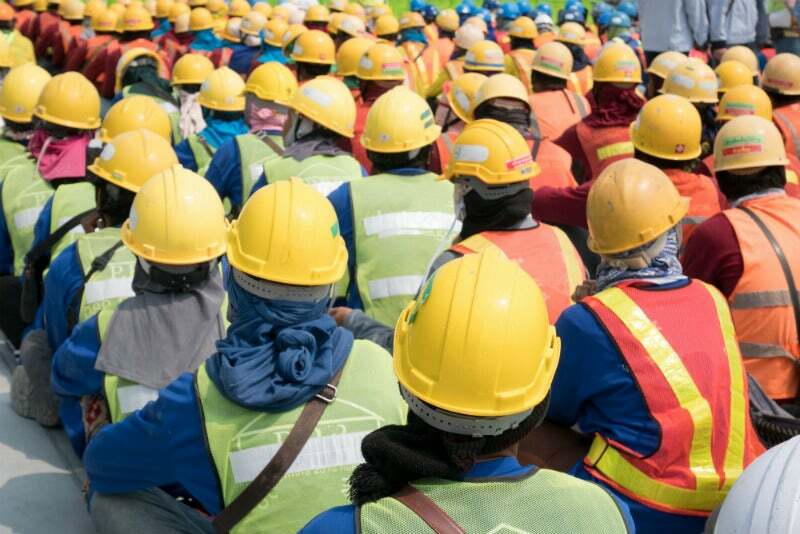 In a response to a parliamentary question submitted by the Republican People’s Party (CHP) this January, Turkish Transport and Infrastructure Minister Mehmet Cahit Turhan stated that the number of workplace deaths was actually 55. He stressed 25 of these had been due to natural causes and gave a range of causes for the remaining 30 accidental deaths, such as workers not reattaching protecting measures after removing them, moving too close to a pond on the construction site, and ‘carelessness’. It says that allegations made are “unfounded and unacceptable”, and that persons with no connection to IGA and its subcontractors had trespassed on the airport project site and caused damage to cameras and dormitories. “It was gendarmerie who damaged dormitories; there are several photos and video footage proving that,” says Ozgur.